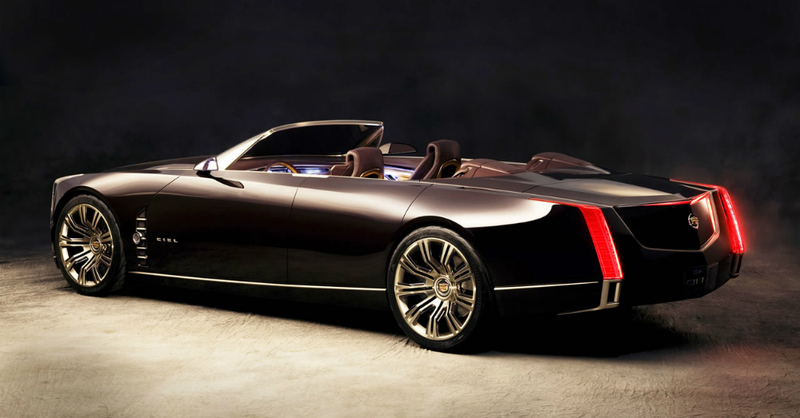 In 2011 Cadillac showed us a car that could have been its new flagship car, the Ciel. This car was built to be smooth, attract attention and carry in a marriage of the old and new. At this time the Ciel was made to show a grace and large platform that resembled much of what we came to love over several decades of Cadillac excellence while bringing forward some of the style that is found in the Cadillac models of today, so the question remains, what happened to the Ciel? The engine that was supposed to find its way to the Ciel was to be a twin-turbocharged 3.6-liter V6 hybrid system. this would give an estimated output of 425 horsepower and 430 lb.-ft. of torque to make for a great power train that would be both powerful and offer some fuel savings on the road. Not only did this concept car show up with a great power plant, but had the benefit of suicide doors and a convertible roof to give some awesome looks and over the top driving experience for those who love their Caddys and want to take a pleasure cruise on a weekend as they peruse the landscape around them. Once again, what happened to the Ciel? It seems the Ceil was never really going to be the car of the future for Cadillac and was more of a great idea than one that would make its way to production. Much of this has to do with some of the style that was extremely over the top for a production car in the mainstream line. The other parts of the problem for this car comes in with the fact that larger models of Cadillac were not selling well and what Cadillac needed was not a new large flagship that would attract the older crowds, but a way to reach younger buyers on a more personal level. With this in mind, Cadillac has turned its attention to increasing power in their current models presenting a flagship sedan that would be worthy of a membership in this lineup. With this in mind the Ciel did not gain the go ahead and we now have the CT6 coming up as the first flagship sedan from a lineup that promises to be completely new by the year 2020. In addition to the CT6 we also now have the ATS-V and CTS-V both of which take advantage of the Corvette Z06 engine to gain some of the greatest power possible in a luxury car. Not only do the three new offerings have plenty of power, they all have even stronger handling and suspension and gain some great benefit of the build using aluminum in their structure. This gives us an all-new Cadillac lineup that will attract many the driver who is looking for luxury matched well with speed and power. Even though the hybrid powertrain of the Ciel did not make its way to market and the timing was just wrong for this car, it’s still fun to look back and see what could have been from Cadillac and discuss where they are going. Next → Next post: What Fuel Mileage are You Looking For in a Chevy?